It's bad enough that Professor Bonnie Burstow at the University of Toronto is the head of anti-psychiatry and the purveyor of an anti-psychiatry scholarship, but it goes well beyond that. She is actively attacking research and proud of it. I wrote about her scholarship last October and my Huffington Post blog was followed by a number of other criticisms leveled against her. The two most recent were Tom Blackwell, the National Post medical writer, who called her scholarship an affront to science that could do harm. "This is a case where academic freedom should be quashed," Edward Shorter, a U of T professor and expert in the history of psychiatry, told Blackwell. 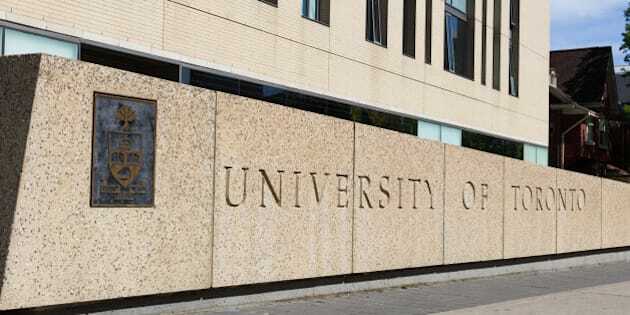 Dr. Joel Paris, a McGill University psychiatrist, is quoted saying he is ashamed of the University. And then a Viewpoint on the CBC National News arguing that her scholarship is an insult to academic freedom. What I did discover is that Professor Burstow has a new book coming out in February called Psychiatry Interrogated: An Institutional Ethnography Anthology. Chapter two by Burstow and Simon Adam is called "Stopping CAMH An Activist IE Inquiry." CAMH is the Centre For Addiction and Mental Health in Toronto. It is affiliated with the University of Toronto and is a Pan American Health Organization/World Health Organization Collaborating Centre. In addition to patient care, it has a team of world-respected researchers. One of its researchers is Dr. Jeffrey Meyer, a Tier 1 Canada Research Chair in the Neurochemistry of Major Depression, along with other positions. Not only has he made some major discoveries in his research but his publications include more than 90 peer-reviewed papers, 50 per cent as first/senior author. He is the lead/senior author of eight papers in JAMA Psychiatry/Archives of General Psychiatry and seven papers in the American Journal of Psychiatry. It was one of his research projects that Professor Burstow tried to shut down. I should point out that Burstow does not believe that the brain is capable of becoming ill, and that therefore mental illness cannot exist. Her doctoral thesis, according to the media spokesperson at her institution, was entitled "Authentic Human Existence: Its Nature, Its Opposite, Its Meaning for Therapy: A Rendering of and a Response to the Position of Jean-Paul Sartre" in 1982 at the University of Toronto. The research project was called Inflammation and Electroconvulsive Therapy (ECT) for patients with treatment-resistant depression who were planning to take ECT. ECT is controversial and has had bad press for years, but it is a safe and effective treatment. This is the history and details of ECT from the Canadian Psychiatric Association if you care to read more. Two things got Burstow and her minions upset, and that was the fact that the research sought out relevant subjects in an ad on Craigslist, that they would be compensated and that the researchers stated that ECT is safe but with some potential side effects. Advertising for and compensating research subjects is perfectly legitimate, but they did pressure Craigslist into removing the ad. Burstow says that she and her anti-psychiatry advocates, including Dr. Peter Breggin, got to work complaining about the research. As I pointed out in my earlier Huffington Post on Burstow, Breggin is, in the words of a U.S. judge when he provided testimony, "a fraud or at least approaching that" and "I can't place any credence or credibility in what he has to recommend in this case." The letter-writing campaign and the various replies from the university that they engaged in can be seen on the blog for the Coalition Against Psychiatric Assault. Burstow's initial complaint letter can be found on page 7. Aside from her complaint about paying subjects, she is very concerned that the researchers stated that ECT may work by stimulating the brain to produce more cells. She asserts that there is no evidence for this claim whatsoever. As it turns out, Dr. Meyer directed me to 68 published studies which demonstrate that there may be neurogenesis or an increase in brain cells after ECT. And he directed me to the work by the leading expert in this field. Burstow's complaints were heard and considered by the University of Toronto, senior officials at CAMH, and the relevant sections of the Canadian Government responsible for human research ethics. Her complaints were not upheld but the amount of time that they and the researcher spent dealing with it was substantial. Ultimately, the CAMH research was terminated due to its inability to recruit sufficient subjects and I have to wonder how much the Burstow interference helped to bring that about. But, it is time for the university to rein her in. She is entitled to her views but she should not be actively trying to sabotage legitimate research.